The Washington Capitals won the Stanley Cup Final on Thursday night, ending a Cinderella inaugural season for the Vegas Golden Knights. And while Las Vegas sportsbooks won't have to pay out millions of dollars in preseason Golden Knights futures tickets that bettors took at odds as high as 500-1, the potential loss was mitigated over the past several months. "This was our biggest liability on an event that had a realistic chance of winning since William Hill U.S. was formed [in 2012]," William Hill director of trading Nick Bogdanovich told ESPN. "The estimates I heard around town of $5 [million] or $6 million sounded about right." Wynn executive director of race and sports John Avello, a 32-year industry veteran, agreed, telling ESPN, "This wasn't my biggest liability, but it was pretty significant. I remember the baseball teams [Minnesota Twins] going last to first in 1991." Fear not, though, the lights will remain on in Las Vegas sportsbooks, as oddsmakers had plenty of time to offset the risk from those preseason Golden Knights wagers. "Remember, there have been opportunities to get off this," Avello noted. "People have bet other teams, a lot of shops have put up yes/no props [on the Golden Knights to win the Stanley Cup], and through each playoff series and game to game, we've been forcing the hand to bet the other side." Westgate Las Vegas SuperBook oddsmaker John Murray offered his take. "We cut our liability in half on the field bet," Murray said. "We gave a good price on the field in January because we saw how big the [futures] number was. If we did nothing, we'd have been looking at a seven-figure liability." 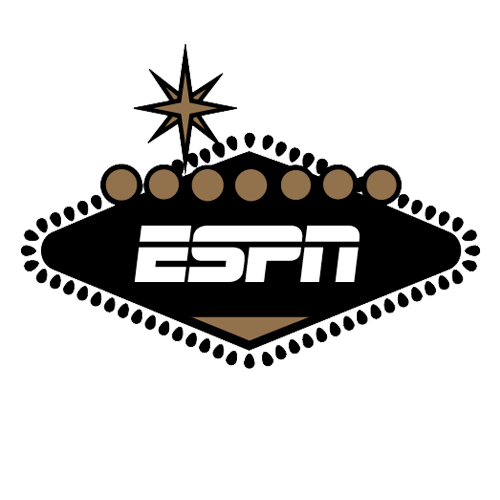 As several oddsmakers told ESPN, unlike other recent events with high liability (the Floyd Mayweather-Conor McGregor boxing match and soccer's Leicester City), they believed there was a realistic chance the Golden Knights could win the Cup, which forced the new odds and maneuvering. "If McGregor had won, that would have been beyond catastrophic," Murray said. "Even this past winter, Vegas winning the Cup was more realistic than that. We were willing to gamble against McGregor, but we weren't willing to do that against the Golden Knights." Overall, the expansion NHL franchise in Las Vegas has led to an increased betting handle on hockey in general (the "other" category that houses hockey in Nevada Gaming Control Board's monthly reports was up 36 percent during NHL's regular season) and a frenzied local interest in the team. Golden Knights games have been a focal point at Las Vegas sportsbooks in a way the NHL never was before, including having home games as the audio and on main video screens at sportsbooks. While the overall profitability of the hockey season varies by Nevada sportsbook ("That ship has sailed," lamented Bogdanovich), every sportsbook director ESPN spoke with would've been happy to pay out on a Golden Knights Cup victory. "I was rooting for the town," Avello told ESPN. "We've taken hits before. If I was going to pay off on something, I [would've been] glad to pay off on the Knights. They've been the talk of the town." "[Westgate oddsmakers] Jay Kornegay, Ed Salmons and Jeff Sherman are all season-ticket holders," Murray said. "We'll lose on the Capitals winning, as well, so they're all very much rooting for the Golden Knights. I think most people in this town would take the loss." Perhaps Bogdanovich, born and raised in Las Vegas, put it best: "We root for the house as much as we can, but this is such a unique story. I think we have a free waiver on this one." The Westgate Las Vegas SuperBook opened the Tampa Bay Lightning as the 8-1 favorite to win next year's Stanley Cup, with the Golden Knights in a five-way tie at 10-1. The Capitals are 12-1 to defend their title.